Every week, we bring you an app that’ll make your life easier. This week, it’s the turn of Pocket, an app that promises to declutter the internet and leave you with only the good bits. Sounds like our kind of app! 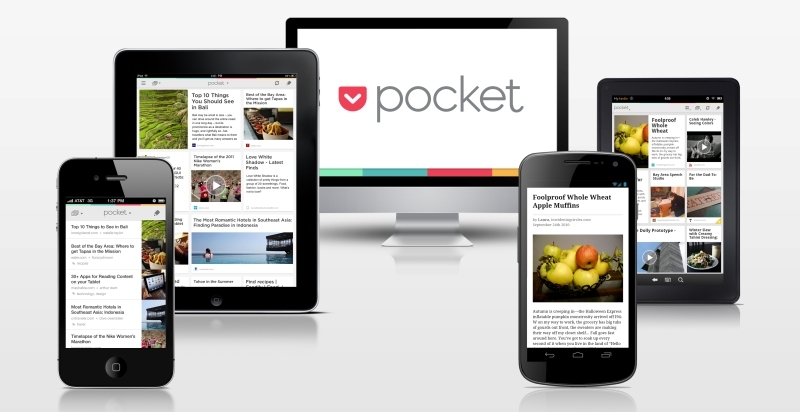 Pocket allows you to save articles, videos and other web content so that you can view them on your phone, your tablet and any other device you want. It collates all of this content into one place, so that you can access it (and share it on Facebook, Twitter, etc.) whenever you want. Two reasons: the first is that you can access all of the content you save offline, which is ideal if you’re on a train going through an abnormal amount of tunnels, or stuck in the middle of nowhere with a desperate desire to read something about funny cats (or the internet’s current collective obsession, Kim Kardashian’s bum). Secondly, Pocket strips away adverts, banners and all those other annoying website intrusions, leaving you with just the text and pictures – the bits you actually care about. You can instantly pull up that funny article you read last week when you’re with friends, instead of having to search for it manically as they slowly lose what little interest they had in the first place. Oh, and the app’s design is top-notch too. It only improves the appearance of web content. Rubbish articles will, unfortunately, still be rubbish. Have you downloaded a surprisingly easy app recently? Let us know in the comments and we’ll feature it on the blog (with credit to you, of course). And if you happen to be looking for a surprisingly easy way to sell mobile phones, look no further than musicMagpie!